The Colony Meadery's Black mead is back on Black Friday for a limited time. The popular blackberry-blackcurrant mead is rich, dark and complex and released in very small batches every so often. 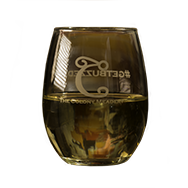 The Colony Meadery, the Lehigh Valley’s award-winning producer of fermented honey, recently announced a partnership with Stroudsburg’s Banter’s Hard Cider that will result in a chance for more customers to try each company’s beverages. We know, we know, it's not even Thanksgiving yet and we're already talking about Holiday Markets? But, think about it this way, if we didn't plan ahead, then you might not get the best mead for your holiday parties, right? For more than a decade, Tunes at Twilight in the Sun Inn Courtyard in Bethlehem, Pennsylvania has one of the Lehigh Valley area rites of spring events. And now, The Colony Meadery is pleased as punch to team up with the Downtown Bethlehem Area Association to provide mead for sale during each Thursday performance May 5 through July 21! Welcome to the new golden age of beverages. THE COLONY MEADERY IS A PROUD MEMBER OF THE BRIDGEWORKS BEVERAGE ALLIANCE, the Lehigh Vallley Brewers Guild, and the American Mead Makers Association.